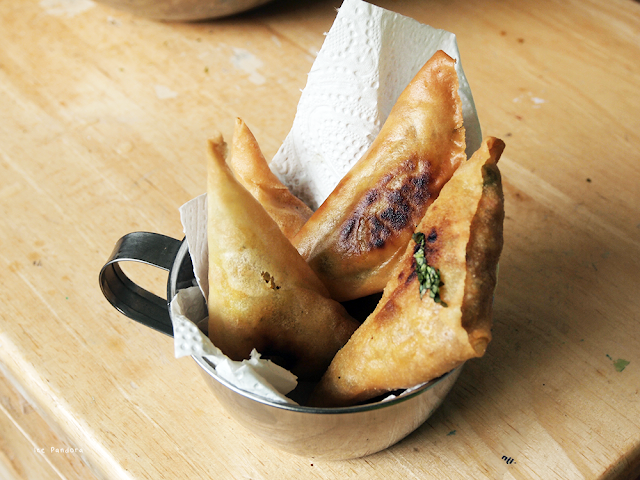 These curry triangles/samosas was made and gobbled up at a dinner party with my co-workers a few weeks back and I’d like to share the recipe with you guys! Pssst, it’s vegan friendly as well! I have made similar curry treats before and I’ve decided to make them again for the dinner party because it’s comfort food and easy to eat away. And everyone loves curry right? But just in case I have asked my co-workers how high their peppy level is before everyone ends up in flames. My curry treats are average spicy but you can always adjust the heat and flavour. I like and can take hot food but with curry you don’t want to overspice it because that will overpower the flavour and the flavour is what I like the most in curry. Deze kerrie hapjes/samosa's zijn gemaakt en opgeslokt tijdens een etentje met mijn collega's een paar weken terug en ik wil graag het recept met jullie delen! 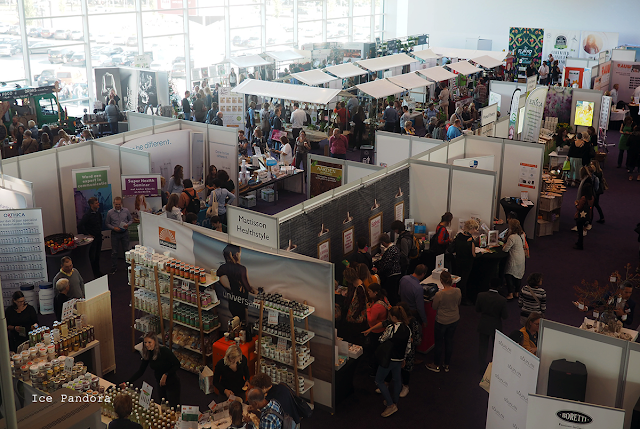 Pssst, het is ook nog veganistisch vriendelijk! 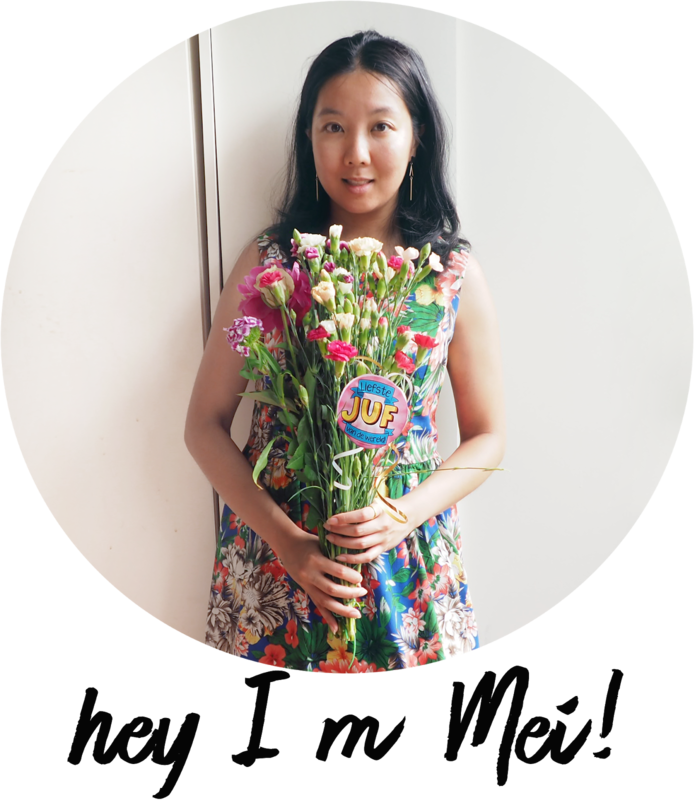 Ik heb eerder kerrie traktaties gemaakt en ik heb besloten om ze opnieuw te maken voor het etentje, want het is comfort food en gemakkelijk te eten. En wie houdt nou niet van kerrie toch? Maar voor de zekerheid heb ik mijn collega's toch gevraagd hoe hun gehalte is voor pittig eten voordat iedereen in vlammen eindigt. Deze kerrie hapjes zijn gemiddeld qua pittigheid, maar je kunt altijd de hitte en smaak aanpassen. Ik ben dol op pittig eten, maar met kerrie wil je niet te heet gaan eten want dat zal de smaak overheersen en smaak maakt het nou juist dat ik dol ben op kerrie. Soak the glass noodles in warm water for about 15 min. Drain the chickpeas and pour them in a large bowl. Crush them with a crusher but don't over crush them. Set aside. In a skillet goes in: oil and all the spices you desire to make your favorite curry. Heat them up for a couple of minutes then add the chopped onions, garlic and green peas and stir-fry for about 5 minutes on medium heat. Add the curry filling along with the glass noodles in the large bowl with the chick peas and combine them together. Taste and see if you want to add a bit more seasoning or not. Finally add the coriander. 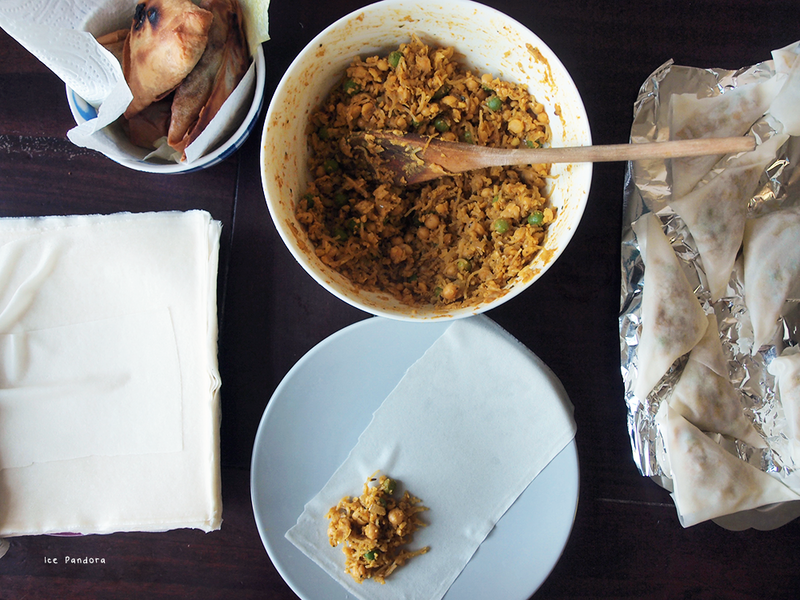 my spring rolls sheets are square and you need to have a rectangle shape of sheets to pack the curry triangles, so I cut them in half! Place a generous spoonful in the corner of the sheet and flip them over to make a triangle. Fold down the edge and keep flipping until there are no sheets left. 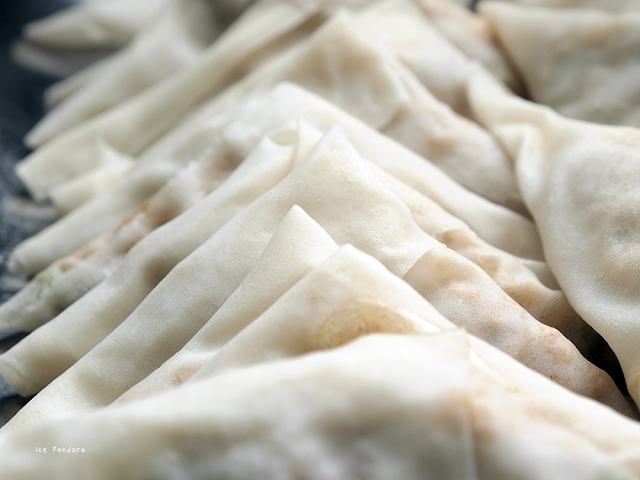 Once you have used up the sheets and the filling it is time to deep-fry them! I've used a deep wok and filled it with vegetable oil. Heat the oil up on medium to high heat. It should be ready after 5 minutes. 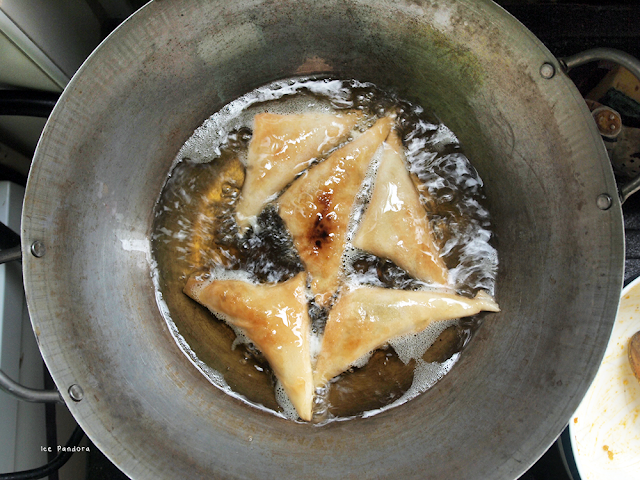 Carefully dunk the curry triangles into the oil and deep fry them on both side for about 1 min. Once the curry triangles are cooked place them on kitchen towels to soak up the access oil. Looks so delicious I know so many people who love if I made this! delicious! i think i tried it with cream cheese and shrimp or crab? inside but i love that this one is vegan! 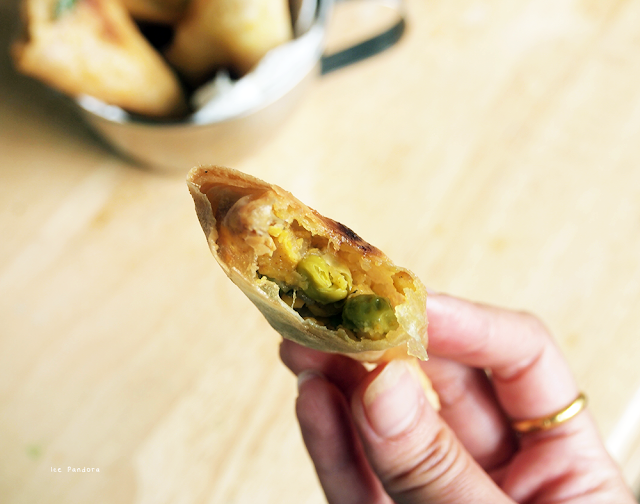 I LOVE curry puffs, I have to get them if they're on the menu haha. These look amazing! okay, seriously now, i need to try this. this looks so delicious. 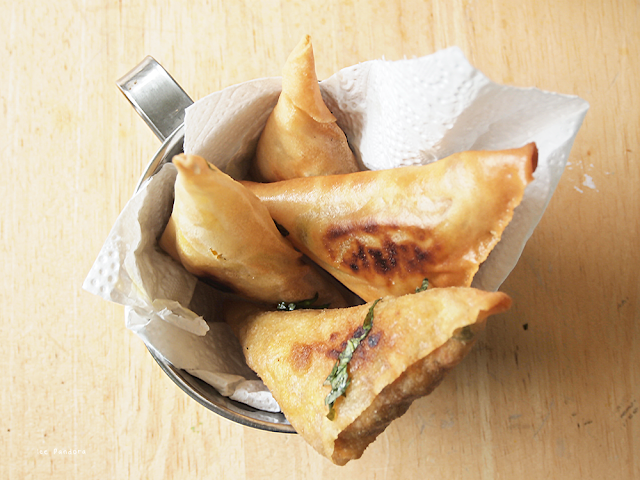 I love samosas, this looks and sounds so yummy! This is looking sooo delicious ! !